Television advert for the What Would You Do? ad campaign. THE WEBSITE FOR the What Would You Do? campaign, which focuses on the role of bystanders in preventing domestic violence, had 88,000 visits by mid December. The Tánaiste and Justice Minister Frances Fitzgerald said since the campaign began on 16 November, it is interesting to note that the majority of the visitors to the website have been from the 25 to 34 and 35 to 44 age groups, which account for 50% of visitors to the website. A further 15% of visitors to the website are in the younger age bracket of 18 to 24. The advert on YouTube has seen 85,000 views since 5 December, said Fitzgerald. (Updated figures show it now stands at 167,767 for the advert below). I believe this campaign has led to far more discussion of the issue of domestic violence in our national and local media. The awareness campaign includes advertising across all media platforms including television adverts. Creative agency is Cawley Nea\TBWA worked with Cosc – the National Office for the Prevention of Domestic, Sexual and Gender-based Violence – to develop and implement the campaign. In addition, funding of €200,000 was awarded under the Dormant Accounts Fund to localise the campaign in 2016 and 2017. The campaign launched in the last quarter of this year and it is intended that it will run for a period of six years up to 2021. However, the ad campaign has today been criticised by the National Women’s Council of Ireland as being unsupported by evidence. The director of the National Women’s Council of Ireland Orla O’Connor told The Irish Times newspaper today that there isn’t clear evidence to focus the campaign on the bystander. O’Connor told Irish Times journalist Conor Gallagher that there is no evidence in terms of the impact the campaign might have, who the bystanders are likely to be, or what they would need to say in order to reduce domestic violence. However, Fitzgerald said she has been engaged in a “great deal of consultation with the non-governmental organisations that are working in this area” in relation to the campaign over the past two years. “We have looked at the international research in this regard. All evaluations of similar anti-domestic violence campaigns around the world have found that experience of domestic violence has declined and awareness of how common it is has increased. “There has also been an increase in people’s willingness to discuss the matter and to report domestic violence incidents to police. Obviously, we do not want people who witness domestic violence to put themselves at risk in any way,” said the minister. Fitzgerald also claims that the campaign is research-based. All of the organisations working in domestic violence have made themselves available to go out and give the proper information about what people should do. Obviously, they have been part and parcel of this campaign as it has proceeded. The campaign is based on research. It is just one part of the answer. It is important that this approach is being taken in Ireland. 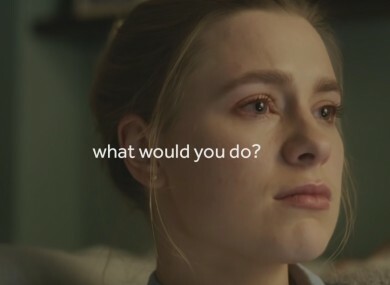 The overall aims of the “What Would You Do?” campaign are to increase awareness of domestic and sexual violence, to bring about a change in long-established societal attitudes and behaviours and to activate bystanders with the aim of decreasing and preventing this violence. I believe these goals are achievable. Findings of the Cosc survey of Attitudes to Domestic Abuse in Ireland in 2008 show that over 70% of people consider domestic abuse to be a common problem in Ireland. Over 44% of people know somebody who personally has been a victim of domestic abuse. The survey also found that 94% of people would help a friend, 65% would help a stranger and 38% would help a neighbour being subjected to domestic abuse. Email “NWCI criticises €1m campaign against domestic violence, but minister says it's backed by research ”. Feedback on “NWCI criticises €1m campaign against domestic violence, but minister says it's backed by research ”.